Valve is confident that its new controller can handle complex titles like Dota 2, and we'll soon have the opportunity to decide for ourselves. When Valve announced the Steam Controller, many gamers raised a suspicious eyebrow. The touchpad controller is unconventional, to be sure, but if Valve's sales pitch is even remotely accurate, the gamepad has a great deal of potential. However, before it'll be accepted by the community, we'll need to see this thing in action. And that's going to take a lot of behind-the-scenes footwork from Valve. Part of Valve's spiel included a promise that the Steam Controller would be able to play PC games that weren't specifically designed with gamepads in mind. Many RPGs and MOBAs, with all of their classes and abilities, seem irreducibly complex, which means that controllers might be out of the question. But Valve is confident in its new gamepad. "[Dota 2] is a really complex game that uses a good half of the keyboard," said Valve's Jeff Bellinghausen in a recent interview with Polygon. "And it's a real challenge, but would also be really exciting. 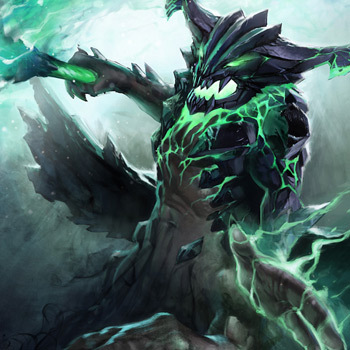 To be able to play Dota from the couch is a really neat opportunity." "For a game like Dota," he continued, "we're probably not going to be able to match it perfectly. You're not going to take [pro player Danylo 'Dendi' Ishutin] and have him play at his level with the controller, but that's not really the goal. That's true of the controller in general." In the gaming world, there has always been a debate over which interface is more powerful: a keyboard or a control pad. We might actually be on the brink of discovering the answer, but like most gaming-related debates, it'll probably live forever in the bowels of the internet.